Welcome to the Second edition of Bronny’s Bookshelf. In these posts I’ll be picking a handful of children’s books from my home bookshelf and sharing my thoughts on them. Today I’ll be discussing three books, a couple of which are very near and dear to mine and my child’s heart. 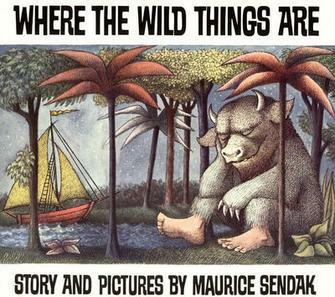 Earning itself classic status, Where the Wild Things Are is a beautiful book which continues to find a place in children’s bookshelves around the world. Since first being published in 1963, it has sold over 19 million copies – wow. The story follows young Max dressed in his white wolf suit, who is sent to his room without supper. Later that night a forest begins to grow in his room, and soon after he takes a ride in a small boat to the land where the wild things live. The wild things are a group of large, hairy though smiling creatures who crown Max their king before joining him in a celebratory rumpus of dancing, jumping and tree climbing. When fatigue overcomes the wild things, Max orders them to bed before leaving again on his boat and returning to his own bedroom where supper awaits him. The artistry of the illustrations and the depiction of the wild things is one that will leave a lasting, almost archetypal impression on yours and your child’s imagination. 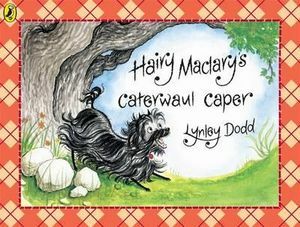 Hairy Maclary stars as the protagonist in twelve books in the series, while a further nine have been written about the other neighborhood animals. 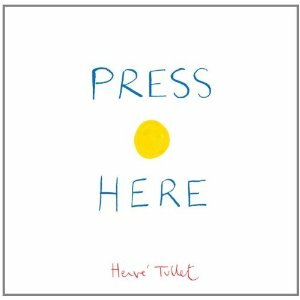 Press Here is a fantastically unique and interactive book for you to enjoy with your child. The book is almost solely composed of dots of different patterns and colours, with a brief amount of text at the bottom of each page. The text gives you instructions such as, “press the button and turn the page,” and, “rub the dot on the left gently.” After such instructions, the dot your child rubbed will have turned red on the following page. Likewise, after being told to tilt the book to the left or right, on the next page all the dots will have ‘rolled over’ onto that side of the page your child tilted them to. What I love about this book is that you and your child are the characters, and you are helping move the story forward. Along the way you learn about colours, direction and movement, and it really feels more like an engaging activity for your child as opposed to being passively read a book. Furthermore this book offers a new way of telling a story and learning through book reading, making the learning process exciting and enjoyable. Stay tuned for the next edition of Bronny’s Bookshelf! This entry was posted in Uncategorized and tagged bronny's bookshelf, children's books, hairy maclary, press here, Reviews, where the wild things are. Bookmark the permalink.